Baz Luhrmann’s dazzling musical extravaganza, Moulin Rouge, is one of my all-time favourite movies. But I recently discovered another film of the same name, shot ion 1952, that brings the Moulin Rouge to life in a much more realistic way. This Moulin Rouge tells the story of Henri De Toulouse-Lautrec, the scion of an ancient aristocratic family who, crippled at a young age, turns his back on his family and the shallow and disappearing world they inhabit, to make it as a street artist in Paris. 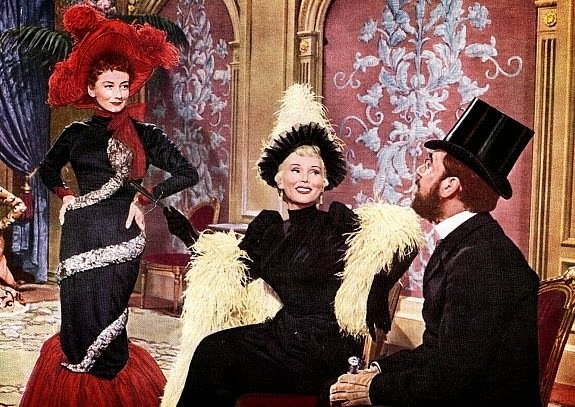 Convinced he will never find love because he’s a cripple, Toulouse-Lautrec (Jose Ferrer) finds solace in his art, drinking, and the company of the Moulin Rouge crew who, being outcasts themselves, treat him like one of their own. One day, he meets Marie (Cloette Marchand), a streetwalker he falls in love with. But Marie isn’t capable of loving anyone and just ends up breaking the artist’s heart. This just makes Henri even more cynical and bitter, to the point that he sabotages every future chance at romantic happiness. Even when the right woman comes along, he’s unable, or unwilling, to let her into his heart, and pushes her away instead. Only in his art, he never loses faith, but even that won’t be enough to save him in the end. 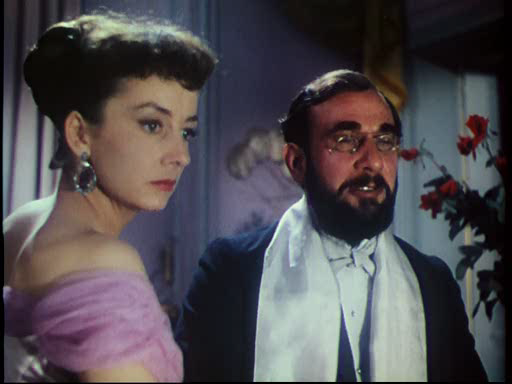 Jose Ferrer’s portrayal is both witty and haughty. He perfectly captures and conveys Toulouse-Lautrec’s need to be loved and appreciated for who he really is, but at the same time his cynicism and bitterness give him an air of remoteness and indifference that never allows the viewer to feel much sympathy for him. Henri both amused and annoyed me, but never moved me. I felt a lot more sorry for Marie, the girl who broke his heart, because, despite all her faults, she was more real. 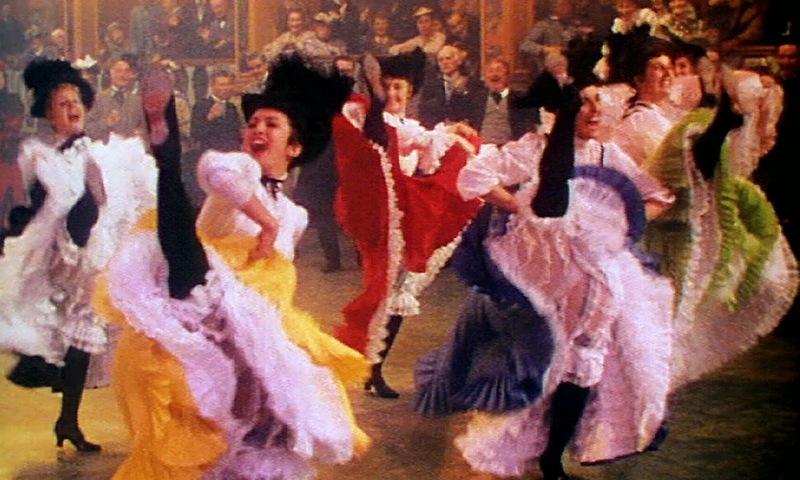 The movie portrays both the glitz and glamour and the dark side and squallor of Bohemian Paris, as well as both the triumphs and failures of Toulouse-Lautrec’s life and career. And yet, like most Hollywood movies of the time (and of today, as some can argue), it is highly sanitized. Henri visited brothels quite frequently and caught syphilis which (together with his heavy drinking) caused his death. Yet, there’s no sign of that in the movie. Even his relationship with streetwalker Marie is romanticized, putting the emphasis on Henri’s feelings for her rather than on her profession. The movie is a feast for the eyes. It won two Academy Awards, one for Best Art Direction – Set Direction (Color) and Best Costume Design (Color). It’s not surprising as bright colours are a big part of the movie. 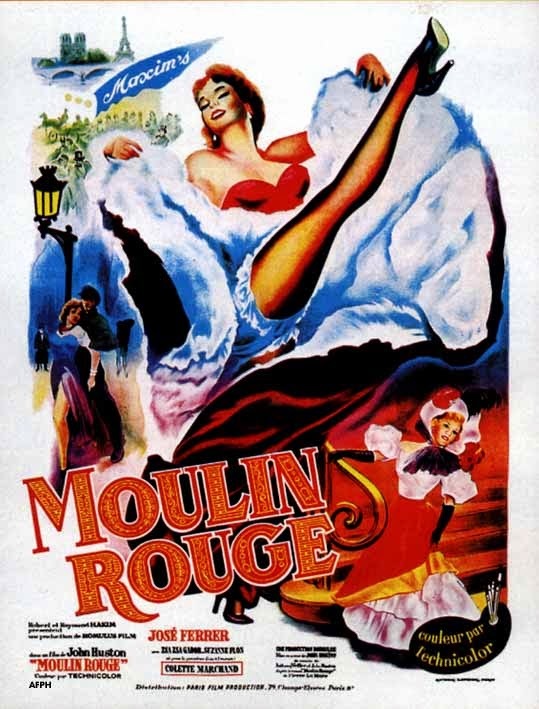 Together with the extravagant costumes, beautiful music, and colourful characters, it splendidly brings to life the excitement and joie de vivre of Paris and the Moulin Rouge, and of a long ago vanished era. It drags on a bit, but overall, it still makes for a compelling watch.